Tales from the Trenches Part 2 More learnings from the three Myriota sensor-to-satellite systems installed in the MEA Test Garden are told in the latest yarn at the bottom of Page 3 in “What Does it take to be an IoT Engineer?’ in this forum. ‘A Hat Trick in the IoT’ covers issues with over-zealous data feed rate, the vagaries of UARTs and glimpses into topographical issues caused by the Mt Lofty Ranges. Oh, and one more thing: check the sealing around the Myriota SDK antenna connection where it enters the enclosure. Sometimes the O-ring seal is under insufficient pressure to prevent water ingress if the unit is placed outside under rainy conditions. Simply tighten the connector nut inside the enclosure to fix this. What does it take to be an IoT engineer? A Hat-Trick in the IoT. Myriota have repaired our third recalcitrant sensor-to-satellite modem and sent around one of their engineers to hand-deliver it. Good companies are tested in bad times. This has been a superb experience in dealing with Myriota’s support team, and we have gained confidence in them rather than losing it. Facing down technical issues is a learning ground; one is forced to set aside specious hand-waving and theorizing and to let the problem do the talking. Thus, what started with some manufacturing faults by one of Myriota’s suppliers turned into deeper insights at MEA into how this new technology really works. First up, we’d been trying to account for missing records. We’d assumed these were simply poor radio transmissions that hadn’t gotten through to the satellite, or could not be decoded. More careful analysis showed that they weren’t actually missing, but up to thirty-hours late. How could that be? Turns out we’d over-stretched the pipe, by trying to send four records twice a day for each pass of the single satellite. Dropping back to three records per pass (six log records per day at four-hour intervals) found us moving data reliably every 12 hours. Next up were issues in our own data – inexplicable glitches that suggested we were dropping digits, causing ugly spikes and unseemly drop-outs in our lines graphs. This turned out to be coding issues in using the Myriota low-power UART to obtain serial data from our sensors. Implementing a system of error-checking and re-tries fixed this. Finally, a first glimpse into the mysteries of topographical interference in transmissions to passing satellites… The single Myriota satellite that we see here in Adelaide is in polar orbit, with the Earth rotating under it twice per day. Even though the satellite completes an orbit every ninety minutes, we are only likely to see it in our field of view for between five and eight minutes during each fly-by. And for MEA - sitting up close to the foothills of the Mt. Lofty Ranges - this means that satellite transits to our east may be blocked on some passes. This is mere supposition at this stage, but it's something we picked up listening to Myriota’s engineers discussing our connectivity issues. Older (MEA is now officially 35 years old), wiser and somewhat less brash, we re-install our repaired tank level Myriota transmitter, complete with data re-tries, slower four-hour log interval and a wary eye to the East. The first rains of autumn appear from the west shortly thereafter, and now all three MEA-Myriota test stations work together to show the measured rainfall, the consequent lift in soil moisture in the surface layers, falling temperature and rising relative humidity associated with this cold front and – best of all – a rise in the level of the rainwater tanks as they begin to recharge. The IoT via Satellite In less than a week after receiving two more Myriota satellite modems (in SDK form) we’ve built two more operational IoT devices, tripling the rate of data flow and improving our chances of understanding this brand-new technology as we race to create working products for new markets. Modem #2 is a mini-weather station, capable of accurate measurements of rainfall, air temperature, relative humidity and their derivatives – dew point and frost point temperatures and vapour pressure deficit. Data compression allows meaningful data to be pushed up via the very slow and narrow pipe that the Myriota technology offers, essentially 14 bytes per three hours. Modem #3 is doing something a bit more exciting; we’re measuring tank water level using a downward-looking ultrasonic depth sensor mounted in the tank roof, which is the perfect mounting spot for upward-looking satellite transmissions. This new technology makes use of our latest ADC technology and one of a series of generic sensor interfaces we’re developing to plug-and-play with sensor front-ends and different comms back-ends in MEA’s small IoT world. Calibration checks use far less sophisticated technology; a tape measure with me up a ladder hoping my glasses won’t take the deep dive to the tank bottom. This is the end of playtime; now we have to get serious about building real IoT products. For that we need a ‘reference design’ from Myriota to help us with specifics like antenna types, special radio-frequency PCB layout issues and so forth. It is commonplace now for manufacturers to use their own engineers to help the applications teams in the customers’ world to get to market as quickly and painlessly as possible. All this focus on the hardware and data transmission technologies hides one of the fundamental truths of the IoT; without a web-based data platform to connect data to customers all this ground-based techno-effort is for nought. MEA’s Green Brain is the final repository for the data that’s left my test garden, gone straight up 800 kilometres to the low-earth orbit satellite whizzing by at many kilometres per second twice per day, to be carried in polar orbit for another forty minutes until the satellite passes over Norway where it downlinks the raw radio data for web-based processing using Myriota’s special algorithms. Finally, the sorted and scaled data is hopped across to Green Brain from whence I can track things – just metres away from where it all began. We corral all these three demo sites into a shared link to Green Brain for Myriota so that their engineers can see what we see from their own offices, and share that link in turn with others so that they too may play and be convinced. In the meantime, we’re running a careful watching brief on the demonstration systems. Almost immediately we’re reminded of how easily one can be lulled into complacency; only one of the two new units is getting data through. We recheck battery sensor and aerial connections, press the RESET button on the Myriota modem board, check that we haven’t made a typo in the Device ID, try to get radio transmissions to the PC dongle in the dev kit, reflash the code, and wait through various twice-daily transmission windows. Everything checks out. No fault found at our end. Finally – by standing outside in the MEA car park – we realize that we’re not getting a GPS fix from this module. Without that, nothing starts up. We are brutally reminded that our understanding of this new data transmission technology has all the depth of a car park puddle. Do you need a remote access lab for IoT? Please, feel free to ask anything.. I have spent more than a year just accumulating information, trying to understand useful ways of implementation. And there is much more to invent... In spring of 2018 there has been a project going for Initial Coin Offering (ICO), where I was invited as an advisor. They would like to build an ecosystem for Artifical Intelligence (AI). Sounds good, isn`t it? However, due to my interest in radio electronics and a clear understanding of the generators and sensors interaction, and the basic principles of the CPU, I drew attention to the team's mistakes in the formation of the project... Later I offered my views in exchange for a share of the project... But it turned out that they did not want a constructive implementation of the project and simply inflated the bubble, absolutely not owning technology. So I left the project and began to build my own vision... I hold a degree of Ph.D. in the field of technical exploitation of marine ports (complex transport systems) and waters. My protection was took by doctor of physical-mathematical sciences, the engineer and the developer of laser navigation principle for several kinds of transport, including military helicopters.. Now he is also a part of project being my partner. Dear Sirs! I represent R&D community. We decided to build a modular laboratory, in order to provide the possibility of remote experiments posing and simulation to detect and record the interaction of induced radiation sources with different materials and substances in different aggregate states in simulated (specified) conditions, and with an ability to get the result being transported worldwide to the consumer physically and in form of useful algorithms of code. This will also let us to form on the platform basis a library of useful algorithms, which could be used by developers worldwide. This, in turn, involves reducing the threshold requirements for the computing power of users locally. Here I would like to ask if anybody needs a remote access to the Lab that includes laser emitter (what kind of more than 10? ); 2-axis or other optical crystal (maybe any lenses? ); magnetron; cryogenerator; vacuumator; ionizing source, etc... This Lab will give an opportunity to pose experiments remotely with no need to get the permission for exploitation of ionizing sources, without buying optical crystals and learning how to keep them good, without building electricity supply chains of professional standards.. You can write me a letter on my e-mail: singularpulsation(at)gmail(dot)com, telegram: (at)HumanHead; linkedin: https://www.linkedin.com/in/tigran-stepanyan-a0a435101/ P.S: Any comments are highly appreciated! ‘Straight-Up’ with the IoT. A new year has fired up at MEA and the troops have rested. I wish I could have rested, but with MEA closed over the Christmas-New Year period, I inevitably spent that down-time reading up on all those technologies I’d sidelined in my head amidst the daily blur. This year I got up to speed on the latest ultrasonic technologies for level sensing, just in case we set about marrying Myriota’s remote-area satellite IoT technology with tank level monitoring and sensing cattle movements. And it’s been hot ‘Down Under’, so the Christmas break also found me conducting a large-scale study in the MEA Test Garden on the impact of current-collapse in our IoT solar panels at temperatures above 40°C. To complicate things, the summer sun climbs high into the sky during the summer solstice, with shorter charging days for north-facing solar panels exacerbating solar-battery charging difficulties caused by radiant heat load. January and the return to work saw us hosing down last-minute alarms in our new Bluetooth-gypsum block IoT technology, destined for shipment to some remote tropical island off Australia’s north-east coast where the Green Turtles are breeding. Things that shouldn’t have gone wrong did go wrong. The ADCs and direct memory access functions in our MSP430 embedded controllers didn’t work as either the data sheet or Errata notes suggested they ought. Occasional data gaps were appearing in the logged record because measurements didn’t complete. We fixed this with a re-write using basic code and much cursing. Then the outdoor air temperature hit 46.9°C (116.4F) in the MEA Test Garden in Adelaide – with over 52°C inside the enclosures – and suddenly we had data spikes. That last-minute glitch was also hosed down and we entered production. With all that done, we got back to debugging our Myriota satellite IoT test system, which had stopped transmitting following a rain event. That too got sorted, teaching us yet again that one can’t be careless with enclosures even when hacking stuff together to test first principles. February rolled around and we dug deep into our back pockets for intellectual property – hardware and firmware – to lash the Myriota modem to our newly-developed smart gypsum block interface. Sometimes it’s good not to be a start-up, as there is no need to develop every darn thing from scratch before you can get down to business. Test beds evolve quickly. Six weeks into the New Year in the MEA Test Garden and we’re monitoring the soil moisture tension profile in the orchard and beaming data straight-up to those whizzing satellites that pass overhead twice-a-day. We’ve already learnt that we can send eight 20-byte packets by queuing them and letting the Myriota modem tackle the business of attempting multiple packet transmissions at each pass. This will stop-gap us against otherwise poor sampling rates until more satellites are launched. Once again we find ourselves under time pressure. Does this satellite IoT technology really work as expected? Can we reliably design product around it? Where are the pitfalls? Can we compress the data sufficiently to match the very small payload? How do we connect data across from the Myriota server to MEA's Green Brain in the cloud? Only squads of data – and time to collect it – can help us here, and we need all sorts of weather events to shake loose nasty gremlins that will surely bight us if they get through to production and our customer base. In the meantime, my Christmas sabbatical has fired my imagination and I’m spending the wee morning hours in my home lab testing new sensor ideas. There just never seems to be enough time in this IoT race! Hi All, I have been made aware of a suite of IoT eBooks + some on robotics (24 books in total) which are currently on special ($15 US) at the Humble Bundle store for the next 2 weeks. https://www.humblebundle.com/books/robotics-iot-books?hmb_source=navbar&amp;hmb_medium=product_tile&amp;hmb_campaign=tile_index_1 Enjoy. Demonstrating and discussing UWB localization techniques in Austrial. Dear All: Our company (ATE-NJ, China) is a professional team focusing on indoor localization techniques. We gained the 2nd place in the 3D competition of Microsoft Indoor Localization Competition 2018(https://microsoft.com/en-us/research/event/microsoft-indoor-localization-competition-ipsn-2018/). Our software supervisor (Prof. Song) is visiting Australia during before Feb 23. We would like to demonstrate and discuss UWB localization techniques with any company or person who is interested in it. Please email us ( su.zhang@ate-nj.com ; zhiyi.song@ate-nj.com) to agree time and place on UWB localization techniques. WEBINAR RECORDING: Plant Water Stress & Sap Flow Measuring & Monitoring Tools By Dr Peter Cull Director, ICT International Presentation: 2019-03-19 ICT Soil Water & Plant Sensors Final.pdf ------------------------------------------------------------------------------------------ PLEASE NOTE THE EVENT TIME IS 12.00PM TO 1.00PM AEDT - MEMBERS OUTSIDE OF ACT, NSW, VIC & TAS NEED TO ADJUST TIMES ACCORDINGLY Description & Presenter: Dr Peter Cull is passionate about the need to use water efficiently in cropping, forestry and the natural environment. To achieve water use efficiency, it is necessary to quantify and monitor water in the natural environment. Dr Peter Cull has always believed that developing precision instruments to accurately measure, monitor and understand water would make a significant contribution to some of the major challenges in food production and land use. 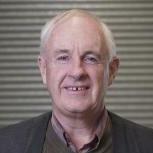 Completing his PhD in irrigation monitoring in 1979, Dr Cull commenced work as a scientist for CSIRO for 3 years. He subsequently worked for many years as a cotton agronomist consulting to corporate cotton farmers in Australia. Commencing in 1982 Dr Cull developed an Australia based company, ICT International, into a highly successful business researching, developing, manufacturing and exporting scientific instrumentation, providing scientific measuring and monitoring solutions, suitable even for some of the world’s harshest environments. These instruments are largely targeted at monitoring water movement through the natural environment. ICT International is a company that has the responsibility of further refining, developing and bringing to market many of the ideas generated by soil and plant scientists. Dr Cull’s professional goal is to continue investing in the research of environmental monitoring solutions for the future. WEBINAR RECORDING: Engineering Careers in IoT Presentation: Engineering Careers in IoT G Sizer 5-Mar-19.pdf ------------------------------------------------------------------------------------------------------------------------------------------------------------------------------------------------------------------------------------ IoT Engineering encompasses the application to the IoT of expertise in a range of engineering disciples including systems, electronics, software, information, telecommunications, mechatronics, computer systems and cyber security. For example, an IoT design engineer may apply electronics and software engineering skills in the development of a wide range of devices and technologies. Other IoT Engineers are concerned with the specification, development, deployment, integration, operation and maintenance of IoT equipment, software and systems by the application of engineering skills and a knowledge of the IoT technology domain. Over-arching this are specialist engineering requirements to maintain data security, integrity and privacy. The webinar will provide guidance to engineers seeking to develop their skills in engineering disciplines which can be applied in the context of IoT, addressing in particular how Engineers Australia members can pursue CPEng status based on their work in IoT and related engineering disciplines. About the presenter: Geoff Sizer, CEO Genesys Electronics Design Genesys founder and CEO Geoff Sizer has a lifelong passion for electronics and technology, and an ongoing commitment to the electronics engineering profession. He has more than 35 years experience in electronic product development ranging from complex systems to simple consumer goods for a diverse range of industries and applications. Geoff is a Fellow of Engineers Australia and a Chartered Professional. As a former President of the IREE, Geoff was instrumental in the formation of the ITEE College in Engineers Australia and is its immediate past chair. He has championed the formation of the Applied IOT Community of practice. During his career Geoff has acted as a Director or Chief Technical Officer for several leading technology firms including Advanced Systems Research Pty Ltd, Advanced Spectrum Technologies Pty Ltd, EMC Assessors Pty Ltd, Telezygology Inc and Embertec Pty Ltd.
WEBINAR RECORDING: IoT Data Models - bringing order to IoT chaos ----------------------------------------------------------------------------------------------------------------------------------------------------------- Description: A Data Model in our context is an object-oriented data-centric representation of physically distributed and/or centralised data and functions within a system or sub-system. Data models are key underlying structures that provide modularity, scalability, flexibility and interoperability between IoT systems big and small. On the small scale, they ensure easy mapping and logical grouping and action of inputs and outputs, and on the large scale, they make interoperability mapping between disparate systems elegant. At the detail level, mapping layer APIs and comms protocols to the data model makes your system scalable, and helps avoid wheel-reinvention of platforms from development to development. Data models bring order to the chaos, or rather, prevent chaos from being entertained. About the presenter: JON EGGINS - CHIEF OPERATING OFFICER AND DIRECTOR BE (Hons) Jon has more than 20 years of electronic product development experience, particularly in the area of embedded hardware and software development. Jon has held positions such as embedded software team leader at Philips, plus more diverse roles including those relating to marketing, communications and people development; Jon is an experienced people manager with a passion for developing people and teams. Jon manages several client relationships and projects and is involved in detailed engineering and review on complex projects. He has specific technical interests in the areas development of IoT architecture, indoor location systems and electro-mechanical systems in general. We just ordered a development kit from Myriota - the first one ordered! Due in 4 to 6 weeks. It comes with a satellite emulator which will be handy for development. We are aiming to be the first to offer a commercially-ready Myriota satellite comms module solution for Things. Geoff. Recording: This webinar has now passed. Members of Engineers Australia can view the recording for free on MyPortal. Logon and navigate to Overview > Introduction. You can also view a list of all recordings. To be notified of upcoming webinars, register on this website and tick the newsletter box. --------------------------------------------------------------------------------------------------------- EVENT OF INTEREST TO IOT COMMUNITY LIVE CANBERRA EVENT TOMORROW – WEDNESDAY 14 NOVEMBER, 12PM TO 1.30PM (join via Webinar for Non-Canberra members) Tomorrow, 14 November, the Risk Engineering Society will be hosting a live discussion panel and Q&A session on the risks associated with and future of driverless or AV (Autonomous Vehicles). The event will be held at the Seeing Machines Office in Fyshwick from 12pm to 1.30pm, details of the event are outlined below. The cost of attending is free to members and seats are limited so please register promptly to avoid missing out. To register please go to the Engineers Australia website: https://www.engineersaustralia.org.au/Event/software-wheels-driver-awareness-and-can-drive-trial Live Event & National Webinar Entrusting the driving task to a computer will eventually become a reality, but the journey to then will be gradual, complex and potentially dangerous. Synopsis As we grapple with the reality of dealing with a range of Autonomous Vehicles (AV) on our roads, there is general agreement these vehicles will make driving easier, more comfortable, and eventually, safer. Entrusting the driving task to a computer will eventually become a reality, but the journey to then will be gradual, complex, and potentially dangerous. As the technology improves the risk profile changes and the number of unexpected and potentially dangerous events the car will not be able to reliably respond to will reduce. However, this raises new issues around driver awareness where the driver could become complacent in an environment where increasing speed and other, unforeseen obstacles could result in potentially dire consequences. This raises new challenges for many organisations involved with AV safety including regulators, manufacturers, law enforcement, and associated organisations such as Engineers Australia and the Australasian New Car Assessment Program (ANCAP). The ACT Government, together with Seeing Machines, has established an AV study - initiated the CAN drive - trial which will, through observing driver behaviour in an automated vehicle setting, help us better understand when and why, from both a safety and a regulatory perspective, a driver should be in control rather than the automated vehicle, and help to manage the transition from one to the other with reduced risk. The CAN Drive trial CAN drive supports a growing appetite internationally to understand issues such as when and how drivers will use automated driving functions and how it might impact their awareness of the environment around them, as well as their ability to take control of steering and speed functions from the vehicle when required, and at short notice. A panel discussion will be held at Seeing Machines offices, Fyshwick, and broadcast live via a National Webinar. Speaker 1: Mr Andrew McCredie, ACT Government AV Trial Governance Committee: Why CAN drive trial is being conducted. Speaker 2: Mr Ken Kroeger, Chairman, Seeing Machines Ltd: What Seeing Machines are doing, and what have found so far. Ken joined Seeing Machines in 2011 as CEO. Under Ken’s leadership the company has been strategically transformed into a recognized industry leader in computer vision, eye-tracking and intervention safety products and services with leading customers such as Caterpillar. Ken’s understanding of computer technology was honed at the North Alberta Institute of Technology. His experience as a technology entrepreneur came to the fore when he moved to Australia in the mid-1990s and co-founded 3D simulation and training provider Catalyst Interactive. Ken’s exposure to a wide range of industries, governments and defence/security agencies at an international level, has allowed him to develop a solid understanding of how technology can be applied to help people and organizations perform at a higher or safer level. Speaker 3: Mr James Goodwin, Chief Executive Officer, Australasian New Car Assessment Program: How this work impacts ANCAP's safety rating system. James Goodwin is a former journalist and news presenter with a professional career in corporate affairs and government relations. He has a particular interest in consumer advocacy and education, particularly in the areas of transport and safety as well as improving corporate governance in the not-for-profit sector. Prior to joining ANCAP, Mr Goodwin held the position of Director - Government Relations & Communications at the Australian Automobile Association (AAA). James also held a senior corporate affairs position with the industry body representing the interests of new car and motorcycle brands in Australia, the Federal Chamber of Automotive Industries (FCAI). Q&A Session Facilitator: Mr Geoff Hurst, FIEAust, National President of the Risk Engineering Society. Webinar Recording: IoT Digital Utilities - Innovation from Seed to Solution, Presented by Dr Mike Dixon, CEO and Founder of Synauta Inc. --------------------------------------------------------------------------------------------------------- PLEASE NOTE THE EVENT TIME IS 12.00PM TO 1.00PM AEDT - MEMBERS OUTSIDE OF ACT, NSW, VIC & TAS NEED TO ADJUST TIMES ACCORDINGLY Description: Australian water utilities have long been global leaders in water management. We have invested heavily in technology and infrastructure, helping solve our water hardships. Is now the perfect time for Australia to leverage it’s expertise in water and harness the digital revolution to build our economy? This webinar will outline a map of digital possibilities for the Australian water utility. Digital transformation consists of the adoption of technologies for remote sensing, asset management, customer engagement, predictive analytics, artificial intelligence, augmented and virtual reality, and cybersecurity. We will highlight excellent examples from Australia and share others from across the globe. About the Presenter: Dr Mike Dixon is the CEO and Founder of Synauta Inc, an IoT company leveraging opex savings for water and power utilities by providing cyber security, sensor networks and software. He is an advisor to multiple start-ups including Sandymount Technologies, which spun out of MIT. Mike is a global expert in desalination and water treatment technology working with membrane and thermal technologies in Australia, North America, the Middle East, the Caribbean and Asia. He has worked across the entire value chain with technology manufacturers, water utilities, oil and gas companies, pharmaceutical companies and research hubs. Prior to Synauta, Mike was Applications Development Manager for NanoH2O, a global provider of reverse osmosis membranes that leveraged UCLA developed nanotechnology to lower the cost of desalination with over 300 installations in 40+ countries in the three years from market launch. LG Chem acquired NanoH2O in 2014. Mike was National President of the Young Water Professionals for the Australian Water Association in 2012 and is currently Secretary of the International Desalination Association (IDA) Board of Directors.